In 2017 he was awarded an Endowed Professorship by Mount Sinai in Biomedical Data Science. Prior to Mount Sinai, he held positions as Co-founder and Director of Informatics at NuMedii, Inc. and Consulting Professor of Systems Medicine in the Department of Pediatrics at Stanford University School of Medicine. 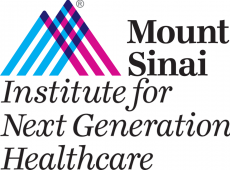 In March 2018 Dr. Dudley was named Executive Vice President for Precision Health for Mount Sinai Health System. PervasiveHealth 2018 Registration is now open! Full Program of PervasiveHealth 2018 has been published! See the breakdown of Technical Sessions here. Join the conversation with #PervasiveHealth2018! Proceedings of PervasiveHealth 2017 can be accessed via ACM Digital Library.